A line of smooth bore, two-piece collars that feature wrenching flats and fit on six popular pipe sizes to facilitate installation and removal are available from Stafford Manufacturing Corp. of Wilmington, Massachusetts. Stafford Wrenching Pipe Collars feature two-piece construction with a smooth bore which evenly distributes their clamping power; plus wrenching flats on the outside diameter to accept open-end style and pipe wrenches. Especially effective for removing frozen pipes and tubing, they let users apply torque using standard wrenches without crushing and teeth marks. are available for pipe sizes from 3/8” to 1-1/2” and come in 15 sizes to fit shafts from 1/4” to 3” O.D. 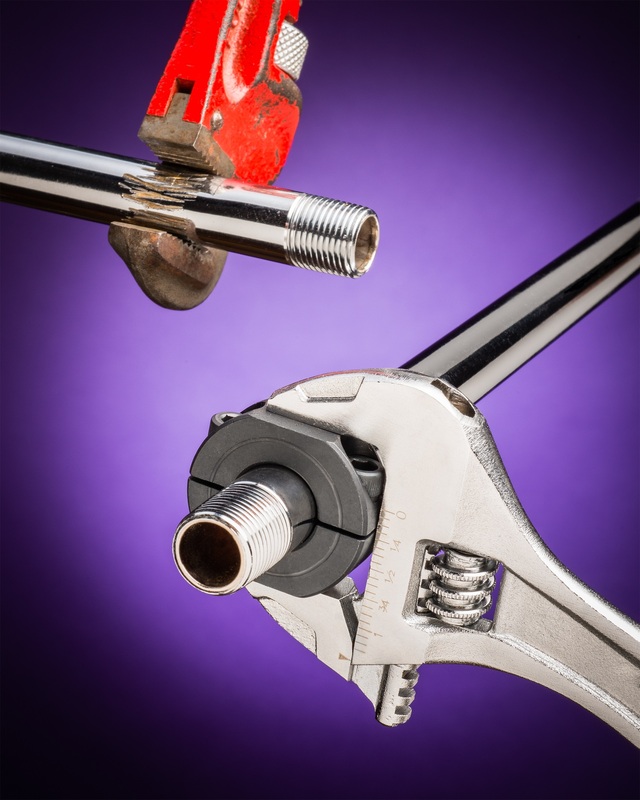 Made from steel, stainless steel, and aluminum, they can be configured to accommodate spanner wrenches. These wrenching collars also provide an easy way to turn shafts for alignment. Stafford Wrenching Pipe Collars are priced from $7.25 to $23.29 (list), depending upon size; supplied individually and in kits. Literature and pricing are available upon request.